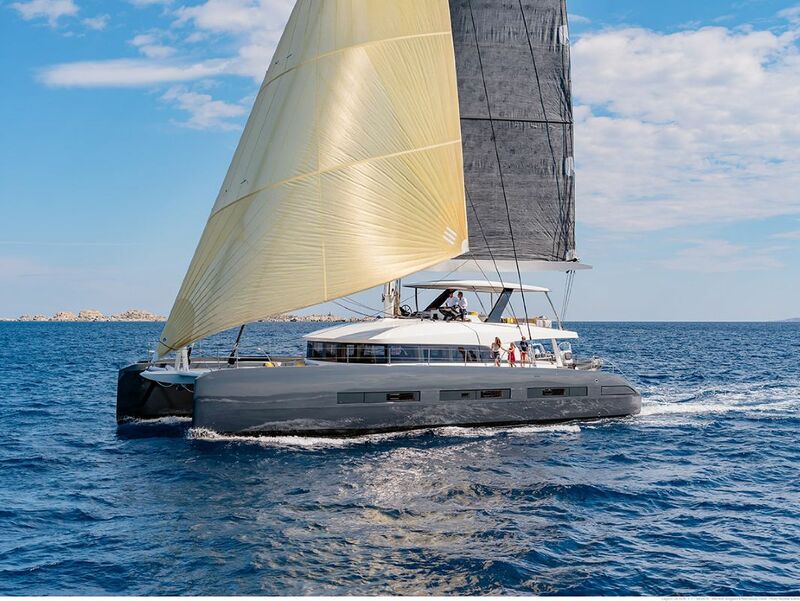 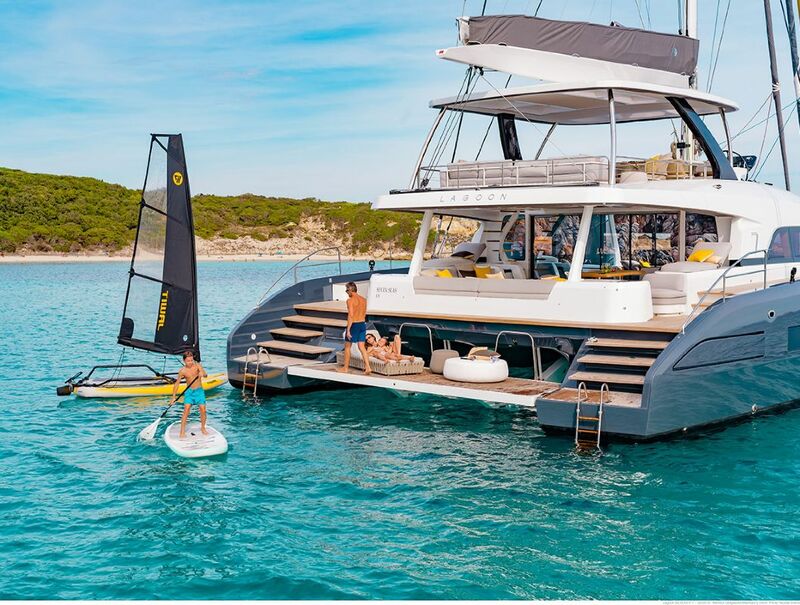 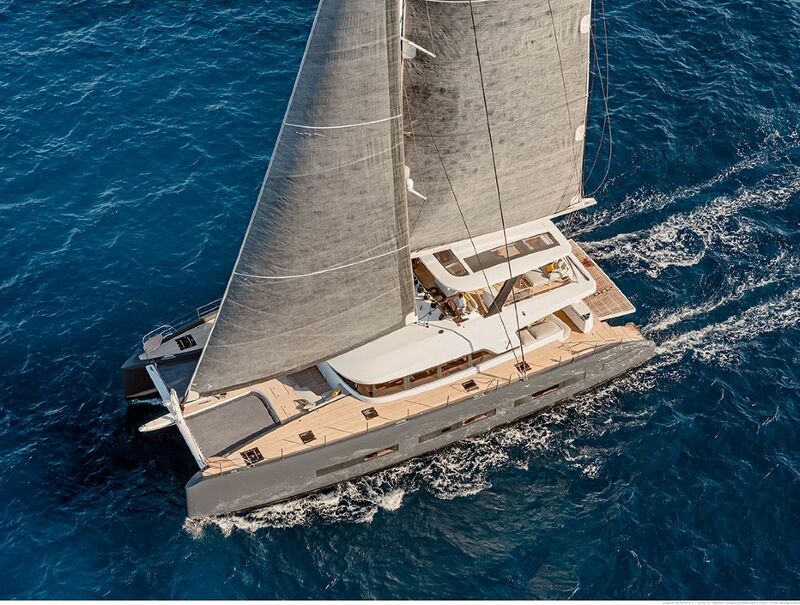 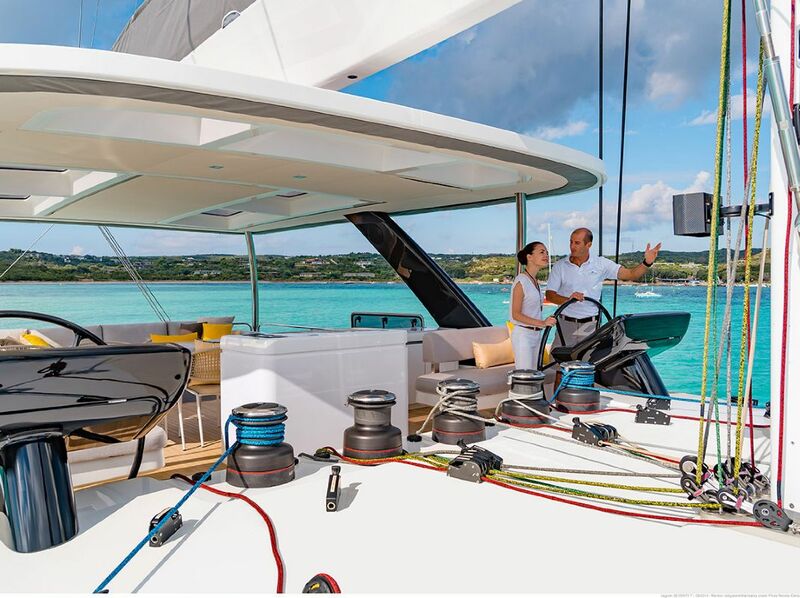 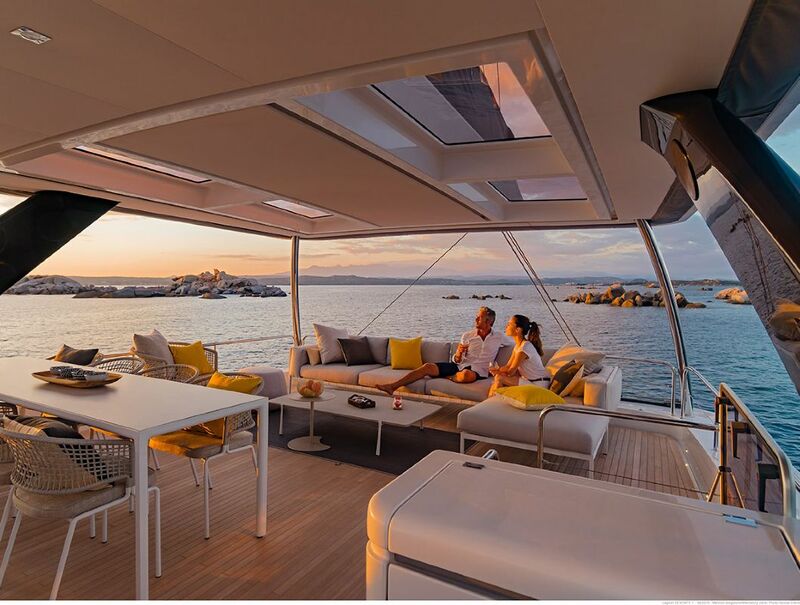 With more than 23 meters in lenght, Lagoon Seventy 7 represents an leap forward for luxury catamarans offer in Croatia. 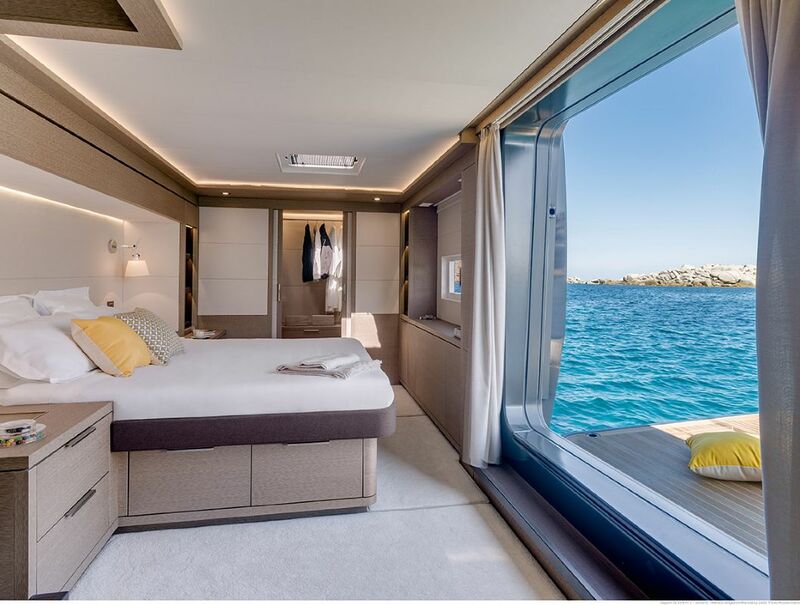 It is available in split area, and is ready to do luxury sailing at the highest level around the islands like Hvar, Vis and Korčula. 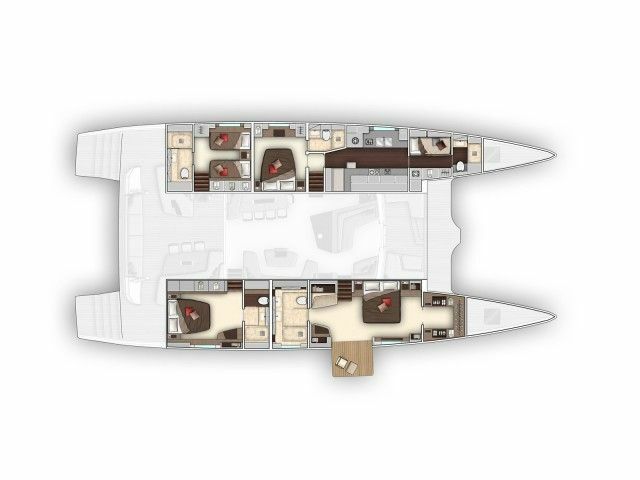 Fully crewed, spacious and very fast, it is suitable to even visit Dubrovnik within a week. 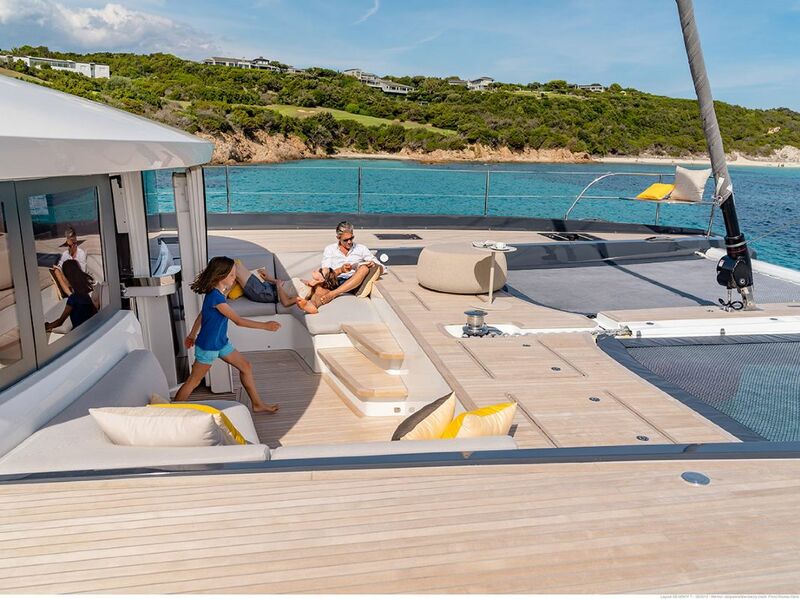 Thanks to the mighty design, it is hard to stay unnoticed while mooring in small Croatian towns and marinas. 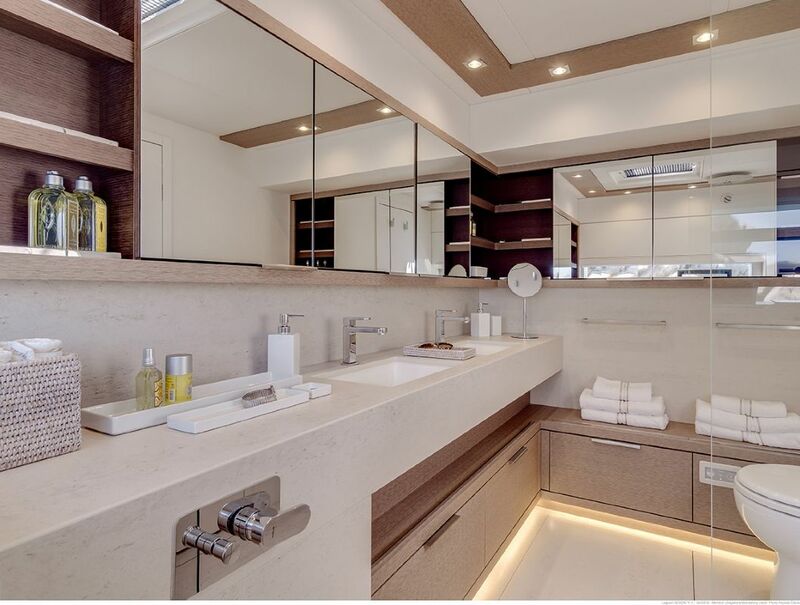 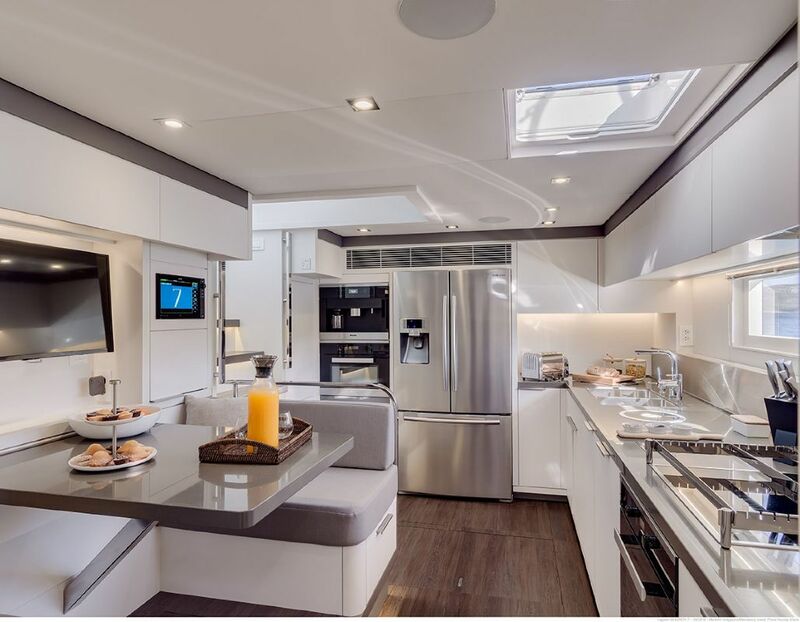 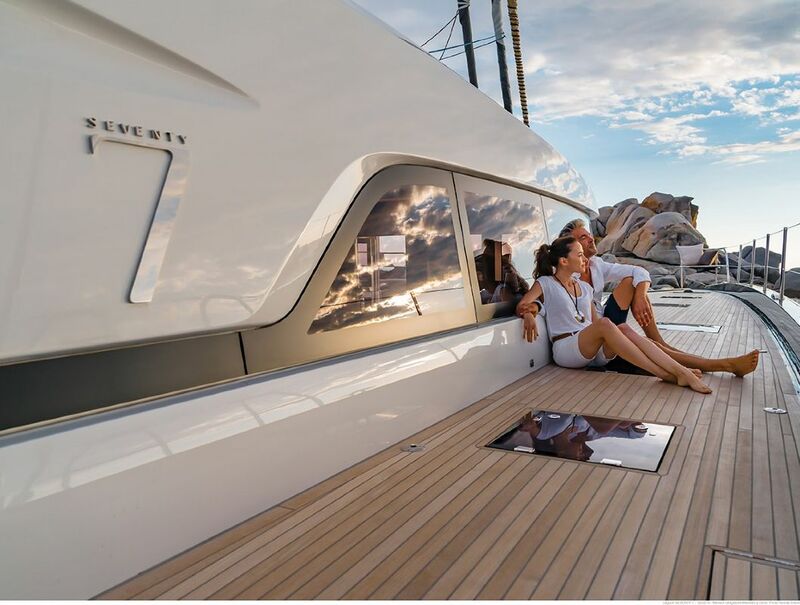 Seventy 7 doesn’t make any compromises, and is built to give ultimate yacht luxury and comfort for guests. 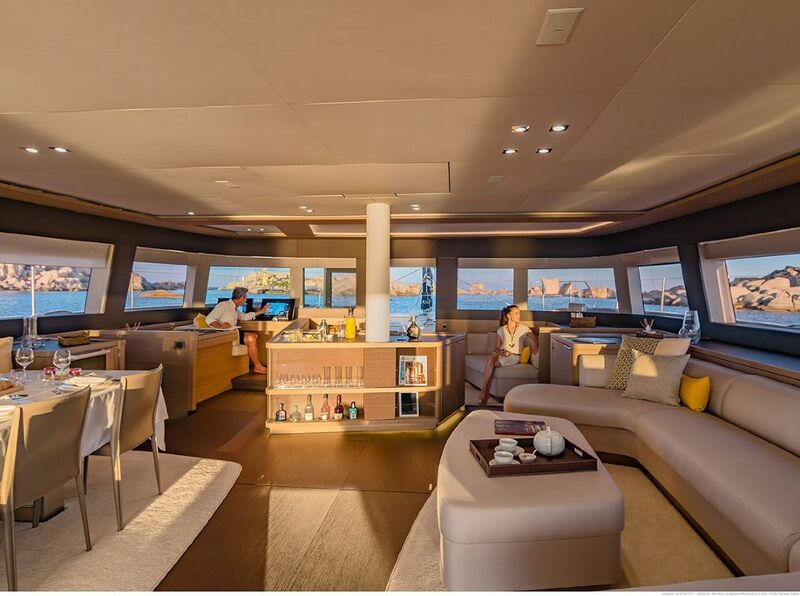 Saloon offers outstanding panoramic view thanks to large windows and exceptional headroom. 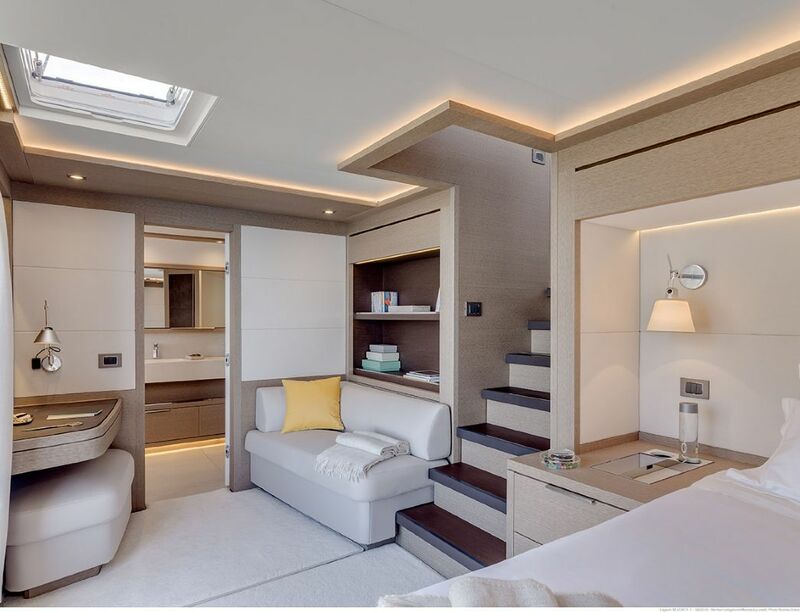 An additional private area for the main suite is enabled by the flexible space, connecting directly to forward cockpit and the saloon. 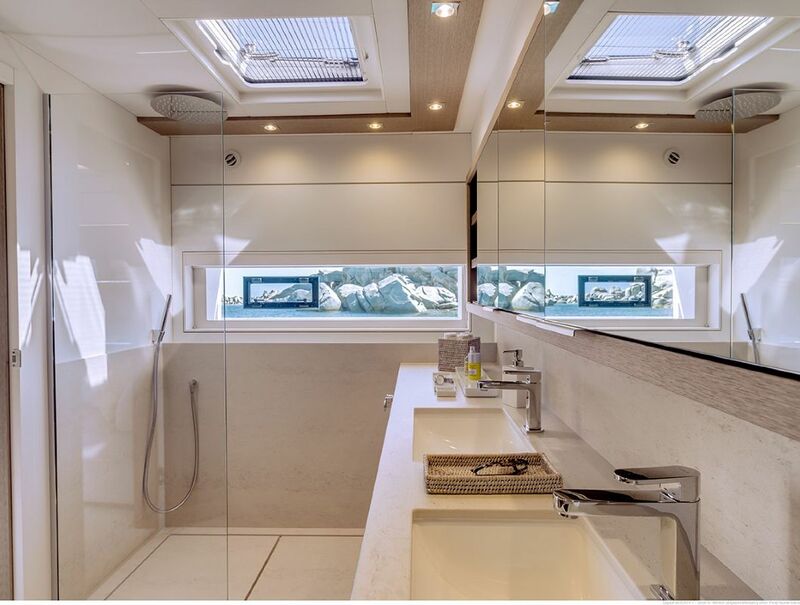 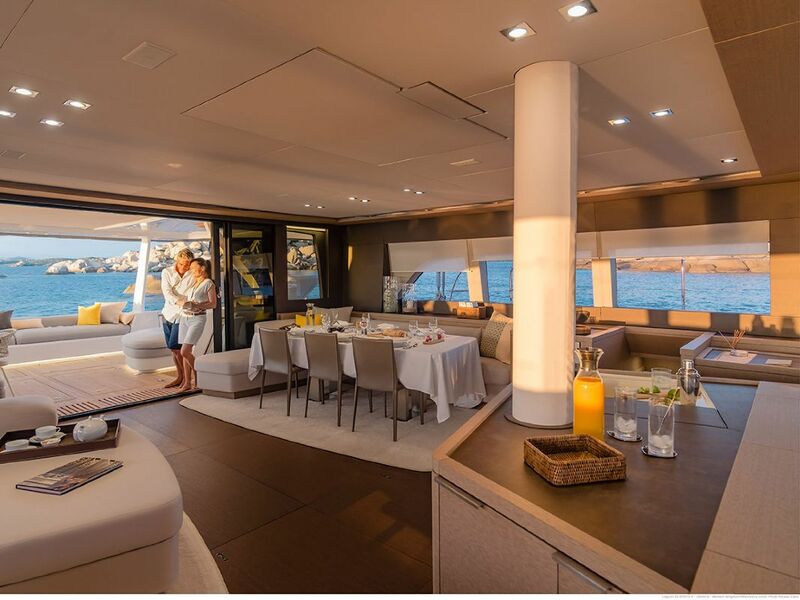 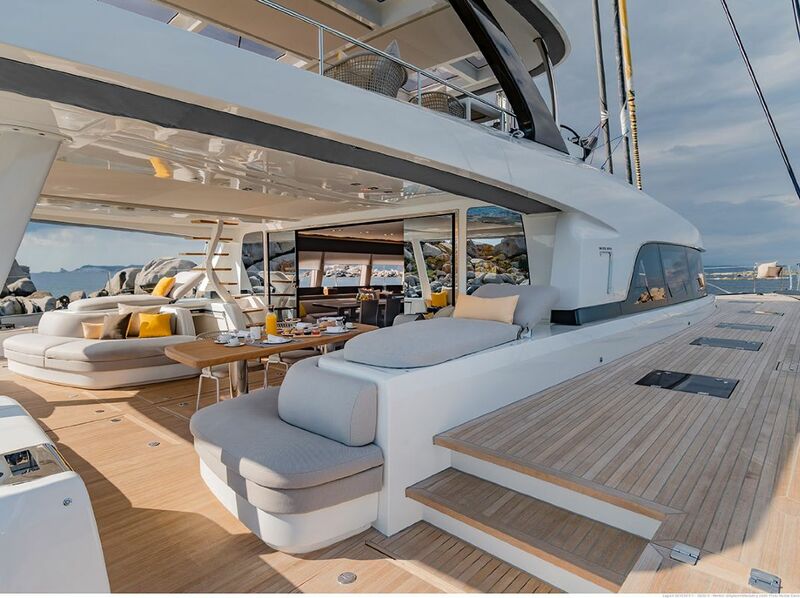 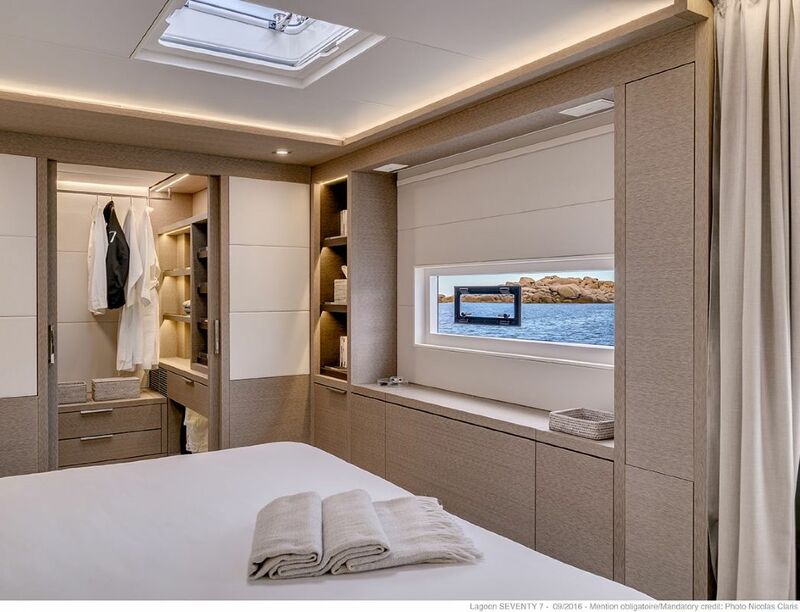 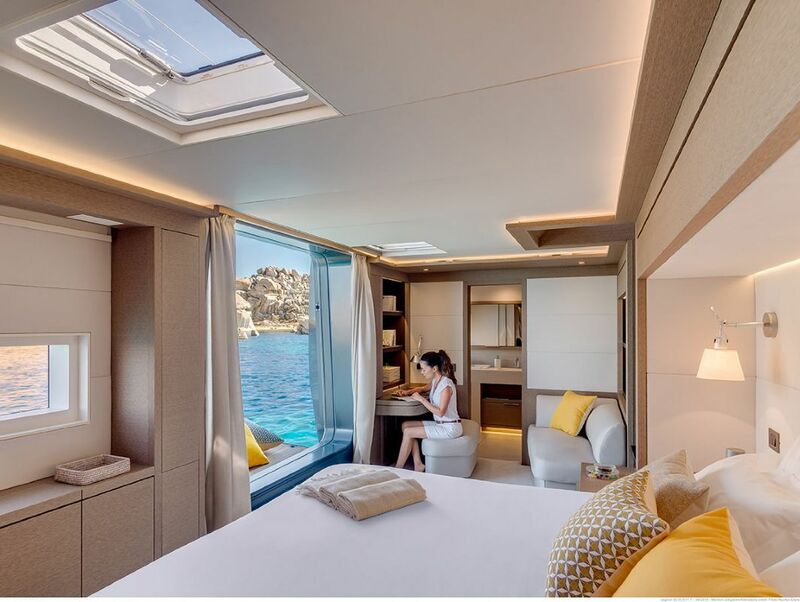 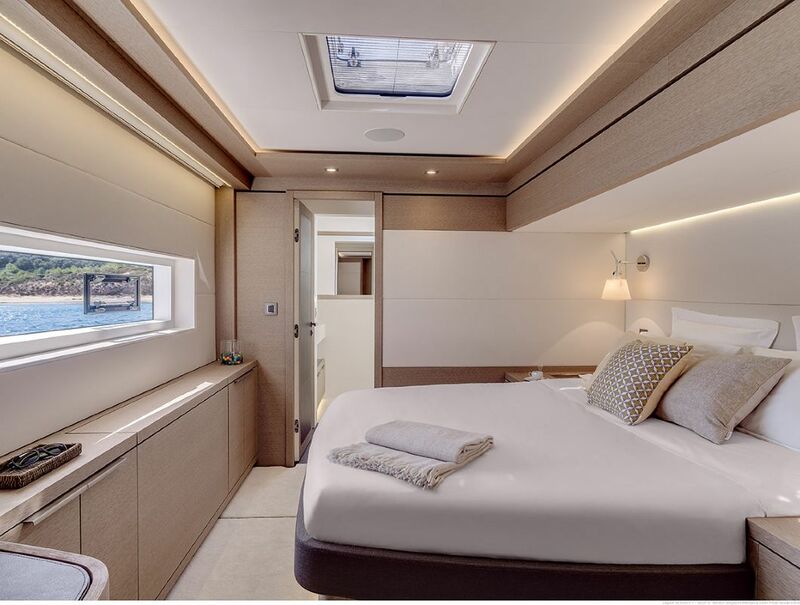 And one truly magnificent addition to this catamaran is the balcony, so far seen only on luxurios super yachts for charter. 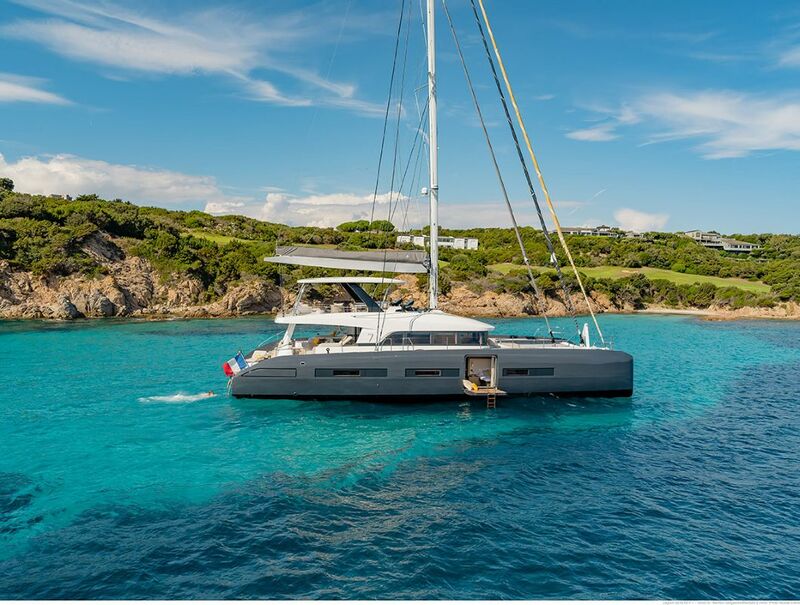 With Seventy 7 arrival, chartering a luxury catamaran in Croatia was never more exciting!